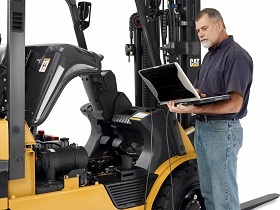 Forklifts and Aerial Equipment Safety Training - Kelly Tractor Co. The training programs address key training issues, including forklift and aerial fundamentals and operating safety guidelines, available in both Spanish and English speaking classes. Safety training is designed by O.S.H.A. training experts and equipment manufacturers. Kelly Tractor Co. will train your operators and certify them to be O.S.H.A compliant. Both English and Spanish courses are available. Step by step guide O.S.H.A required inspections and other critical, required documents. Written and driving tests to evaluate your employees.